Ms. Gwendolyn Macon was born on March 26, 1968, in the city of Arkadelphia, AR to Mr. Roy and Mrs. Dorothy Macon. Ms. Macon departed this life on Friday, November 23, 2018, at Baptist Medical Center in Arkadelphia, AR after a prolonged illness. Affectionately known as Gwen, Gwen’s personality, intelligence, friendliness, and perseverance brought much joy to those she encountered. Gwen was also quite firm expressing her views concerning certain issues or topics. Her willingness to share her views was appreciated and received by many. Gwen enjoyed searching through recipe books, doing online shopping, and completing word search puzzles. Her favorite scripture was Psalms 100 and “Be Grateful” was her favorite song. Ms. Macon was a 1986 graduate of Arkadelphia High School and was a member of the Girls’ Choir. She was employed by Petit Jean Poultry, Hillstern, and Holiday Inn Express- Caddo Valley, AR. Ms. Macon was certainly a delight for her employers and co-workers because of her kindness and diligence at her place of employment. She continued to work at Holiday Inn Express until her health no longer allowed her to fulfill this task. Those preceding Ms. Macon in death are her mother, Dorothy Macon, grandparents; Arthur and Bobbie Williams, Charles Brooks and Dorothy Steward Williams, Davis and Florine Hogan Macon; Aunts, Daisy Yarber, Ruth Craig, Ethel Stephens, Annie Bea Marion, Mildred Williams, Addie Mae Bullock, Bernice Stevens, Geneva White, Annie Williams, Debra Flournoy; Uncles, William Yarber, J.V. Hill Ivory White, Jeffery Macon, David Macon, Roscoe Macon, Louie Lee Macon, Huie Lee Macon, Arthur Williams, Jr., Mack Harris, Clint Hutcherson; a step-sister, Cassandra Hogan and cousins, Marcus Fisher and, Kennedy Hale. A loving Brother in law George K. Nolen, A special friend, Mesa Stewart. Those who will be profoundly deprived of her very warm and compassionate spirit are her parents; Roy and Margaret Macon (Foreman, AR); sisters, Vivian Nolen and Tonya Macon; niece, Ashanti Miles; nephew, Keaundre Dawson “KJ”; uncles, District Superintendent LeRoy Williams (Deloris), Elder Paul Williams, Kenneth Williams, Donald Williams, Barry Williams, Ronald Flournoy; aunts, Millirene McClanahan, Georgia Hill, Dorothy Hutchinson, a bonus aunt, Patsy Hale (Michael), Velma Lowery (Albert), Queen Allen, Marilyn Harris, Felisha Williams, Jacqueline Wright (Phillip), Audrey Rankin, Doris Williams; a step-brother, Gary Crutchfield, a step-niece, Natalie Landsdale, and a step-nephew Channon Hogan. 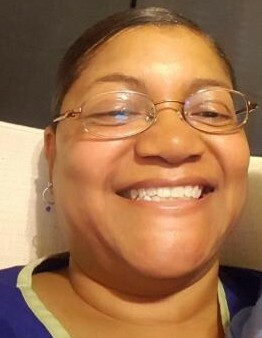 Ms. Macon’s quietness and pleasant personality will remain in the hearts of a special cousin, India Hale, numerous cousins, friends, co-workers and her classmates of 1986. The memories of Ms. Macon will forever live within our hearts. Her character demonstrates one of which we should strive to emulate. Her strength, faith, courage, and endurance were evident throughout her time of illness. The words she often stated were: “I’m not going to give up.” “What a strong determination!” She fought a good fight! Visitation for family and friends will be Friday, November 30, 2018, at Mitchell Funeral Home in Arkadelphia, AR from 11:00 A.M.- 5:30 P.M. Funeral services will be on Saturday, December 1, 2018, at Gennesaret Missionary Baptist Church in Arkadelphia where Rev. Hershall Williams is Pastor at 11:00 A.M. Elder David Wright will officiate and District Superintendent LeRoy Williams will give the eulogy. Interment will be at Piney Grove Cemetery in Arkadelphia.